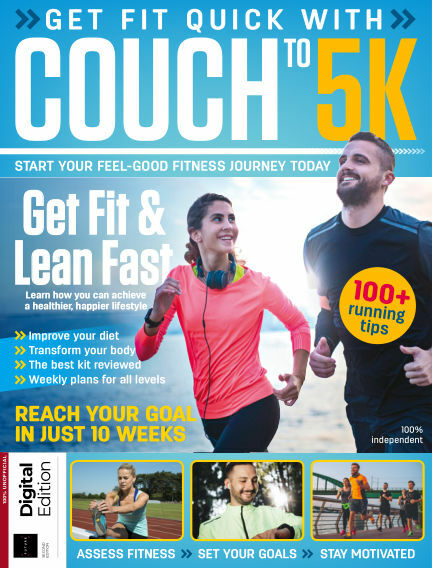 In this issue of Get Fit Quick with Couch To 5K : Start your feel-good fitness journey today by checking out Get Fit Quick with Couch to 5K. Filled with insightful tips on everything from running form to improving your diet, this bookazine will set you on the road to success in as little as ten weeks. With Readly you can read Get Fit Quick with Couch To 5K (issue Second Edition) and thousands of other magazines on your tablet and smartphone. Get access to all with just one subscription. New releases and back issues – all included.